Helped me with a job that I had been putting off. Really like this item ,but had to return because it didn't fit my handle.wish they had it without attachment. Everything I purchased worked exactly as advertised. The gem in the order was the tub scrubber - a great work saver. No more bending or kneeling. I was very pleased with everything. Would definitely recommend. Great back saver! I need something to clean my tub. I had gotten something like this for a friend of mine years ago. Finding it hard to BEND OVER TUB. Needed something to make the cleaning process easier. This works well. Something to use in my business. I clean homes. This will keep me from bending over, I have back problems and this will definitely help. Hoping these are of decent quality. To have extra refills on hand. Been want to try for a while. I have a soaker tub and it is difficult to clean it, I believe this will make it easier. 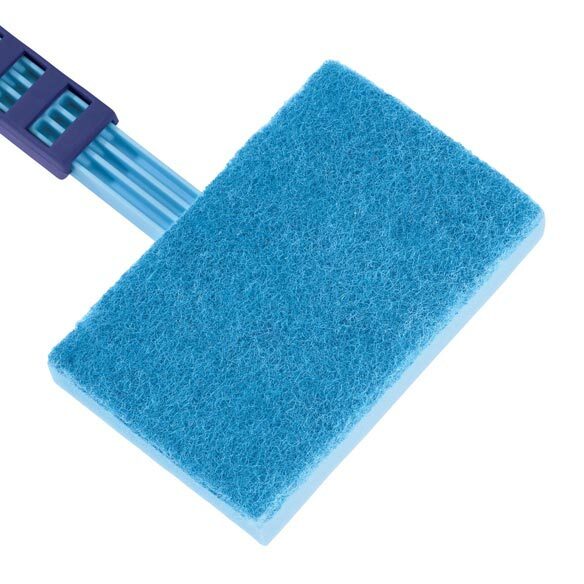 Want an extra pad to last longer being used (scrubber).